Most ensembles by now have completed their yearly adjudicated performance. Did you get the rating you wanted? Did you get the educational feedback you needed? Does it really matter? These are important questions to ask yourself as you reflect on the year. Many states these days have changed the name of their festivals to MPA, Music Performance Assessment. Sounds very educational, doesn’t it? I guess that really depends on YOU more than the festival itself. I was inspired to write this clinic after reading a Facebook post by Dan Dubay, a band director friend in Tampa, encouraging all of the local bands and wishing them good luck at MPA. In that post he made a great statement: “It’s not about the rating, it’s about the music.” I commented and told Dan that I thought that was a great title for a clinic! So thanks, Dan, for the inspiration! 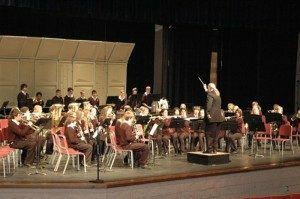 It is so true that the important part of these festivals is that the students get something out of the music and are more encouraged by the process than discouraged. I think it is a matter of how we as directors approach this part of our program. If you put too much focus and energy into it, so will the students. If we spend most of the year working on these three pieces and basically nothing else, just to get the superior, we have missed the point. If we have picked music that is way over our students’ abilities just for our own musical stimulation, then we have further lost sight of what is important. Life is about moderation, and so it is with festival. It is but one aspect of a well-balanced program. It should be used to inspire, motivate and educate, yet not be the reason our programs exist. If you have completed this annual ritual, then congratulations. If you didn’t get the rating you wanted, then use it as a learning experience for you and your students. Now that it is over, focus on some new music that can inspire, motivate and educate. Keep the priority in focus, which is to educate our students in the joy of music! Happy Spring! !